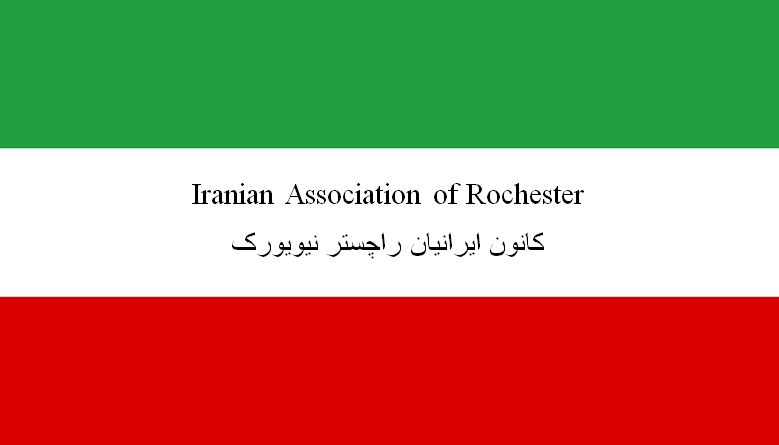 Welcome to the Iranian Association of Rochester website! 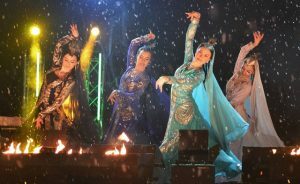 Just as our elders brought us together with food and heritage, it is our duty to do the same! 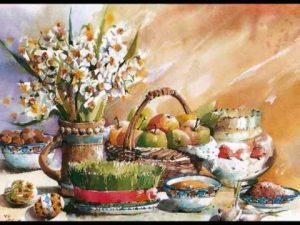 Facilitate communication and cooperation between Iranian-Americans and other residents of the area. Not a member yet? Find out what we're all about. 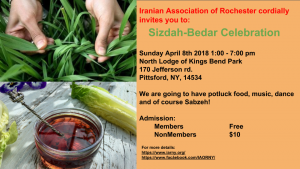 Dear all, We would like to invite you to the celebration of Nowrooz on March 23rd from 6:00 pm - … Read More..
Dear all, You are cordially invited to our Sizdah-Bedar celebration that will be held on, on … Read More..
Dear Friends and Family, Please join us for this year's Chahar Shanbeh Soori … Read More..